In fact this one may be fine - just wondering if anyone has seen any other options. This is to neatly distribute power to stage locations - lower power like keyboards, headphone amps for in ears, pedal boards...We have powercon breakout to two duplex outlets for these locations, but at the back of stage we want to neatly distribute power in several directions from one 20 amp source. You will hear many people say very good things about OA Windsor products. Ken custom builds to order, very high quality products... but probably a bit more expensive then the cheap, mass-produced option from Chauvet that you linked to. I have 2 dozen of the Chauvet power streams. They are a fine box for the money. Ken also has fine products. Choose domestic or import. Am I the only one who feels that putting a 20A breaker on a box like this is redundant, or perhaps even encourages someone to feed it from a higher capacity circuit? PowerCons are only rated at 20A anyway, so shouldn't whatever is feeding the blue input connector be protected at 20 (or maybe only 15, depending where it's plugged in) amps? I suspect it is a UL thing or some such. Power strips have em too. There is no wiring diagram to verify where that breaker is in the circuit, but I would expect it to be on the 4 outlets on the side of the box to protect the rest of the circuit that may be on the feed through from losing power due to a problem with the load on the 4 outlets. Europe has 13A and 26A circuits. 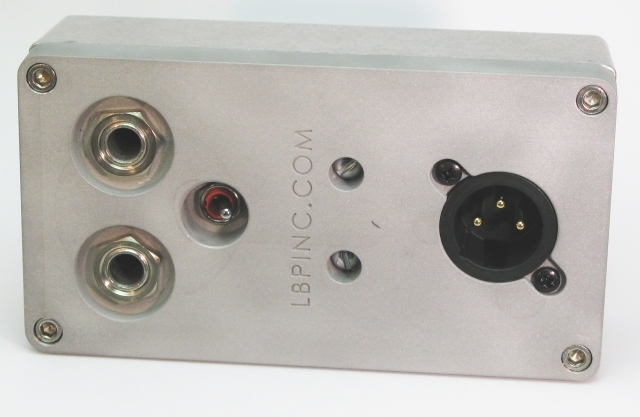 It needs to protect the 20A-rated supplying the PowerCon box if connected to a higher ampacity circuit, as it may be sold or used in markets other than the U.S.